Most of the Muslim societies of the world have entered a demographic transition from high to low fertility, and this process is accompanied by an increase in youth vis-à-vis other age groups. Political scientists and historians have debated whether such a "youth bulge" increases the potential for conflict or whether it represents a chance to accumulate wealth and push forward social and technological developments. This book introduces the discussion about youth bulge into social anthropology using Tajikistan, a post-Soviet country that experienced civil war in the 1990s, which is in the middle of such a demographic transition. 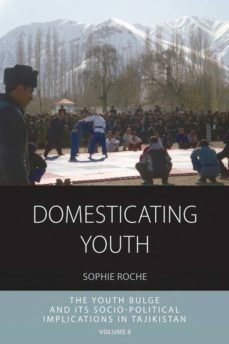 Sophie Roche develops a social anthropological approach to analyze demographic and political dynamics, and suggests a new way of thinking about social change in youth bulge societies.